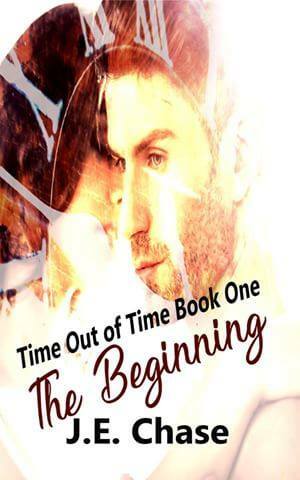 Warrenburg, Missouri-based author Jack Chase has delivered another book, “Time Out of Time: Book One: The Beginning.” As one might guess from the title, time travel is a core element of the book. Chase’s inspiration for the book is related to the movie “Back to the Future.” Seeing movies that deal with time travel caused Chase to question the common depictions of time travel, namely motivation for going back in time. “I thought wait a minute. We have historians. We have people who are limited to movies and books. Why not have a vacation back in time? Why not live back in time? Or if you want to, if you’re only 16, why not go into the future and see what your future kids look like and hang out with them?” Chase said. The time travel element within the book is setup as a private sector service, as opposed to the result of the creation of a mad, genius scientist. The time travel service is provided via an airport. Chase is a movie fan and was once enrolled at the University of Central Missouri, taking a number of media related classes, with the aim of becoming a director. Chase refused to complete the required general education math and science courses, and a few years ago, after leaving UCM he became immersed in creative writing and blazed his own path, becoming a published author. “Time Out of Time” is Chase’s third fiction book. Although he changed his trajectory from aspiring director to published author, film references are sprinkled throughout Chase’s speech, inspire his work and surfaced when he spoke about the possibilities and potentials of time travel in the world of his new novel. “If we wanted to make a movie, but we need Mel Gibson in his younger age, all we got to do is go back to the ’80s, collect his younger self, bring him to our time, put him in the movie, and then take him back to his time,” Chase said. The contents of “Time Out of Time” include the common time travel paradox of the time traveler going into the past and inadvertently altering events in another plane. The main character is Ethan Duke, an attorney whose life is altered, not through his own actions, but through the actions of others traveling in time. Chase said the inspiration for stories just comes to him. He said he was developing “Time out of Time” for seven years before the book’s release this month. Chase already has plans for another book in the series. Chase explained the “Time Out of Time” books were designed to be turned into episodes of a television series. His goal is to eventually see “Time Out of Time” turned into a television series. The book is available via Amazon by clicking here.